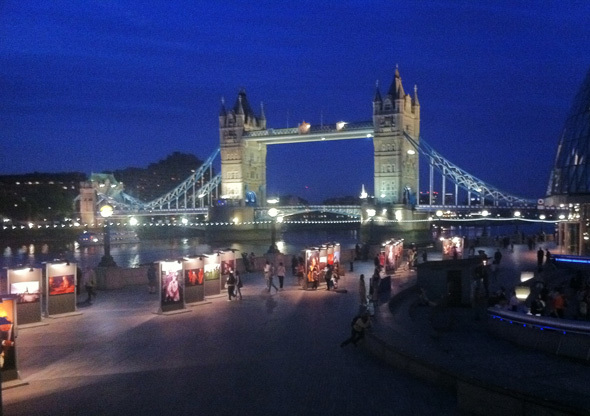 Now the open-air exhibition in London is up and running. And I couldn’t have wished for a better site. The feeling of seeing the images lit up along the Thames with Tower Bridge in the background surely beats most things so far in my life as a photographer. I took a picture of it with my iPhone before leaving the site at 11pm yesterday, tired but happy after two long days of building.